Saúl Santoyo Orozco is a Senior Partner and Head of the litigation practice at Uhthoff. His main practice focuses on IP litigation and enforcement, anti-piracy and anti-counterfeiting, domain name disputes and counselling. His experience comprises complex Intellectual Property litigation and he also designs and implements anti-counterfeiting programmes. With over 20 years’ experience in IP law, Saúl has been involved in handling enforcement actions relating to the protection of IP rights before diverse authorities. He specializes in subsequent appeals heard by judicial authorities. Saúl holds a law degree from the Universidad La Salle Faculty of Law, Mexico City, and has completed postgraduate studies in intellectual property, international commerce and internet law. He is fluent in Spanish and English. Saúl is the author of Well-Known Trademarks (1997) and is known for publishing several papers on Intellectual Property related topics. He has been ranked as one of the top lawyers in Mexico in relation with IP matters by Managing Intellectual Property, Chambers & Partners and World Trademark Review. 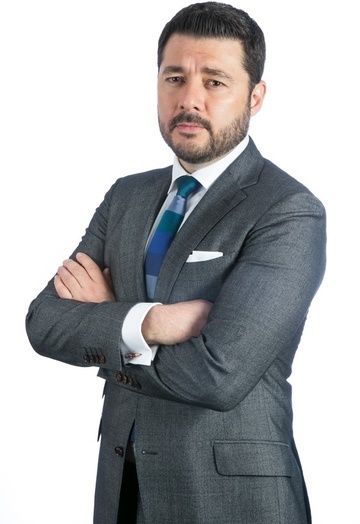 Saúl is an active member of the Mexican Bar Association (BMA), the Mexican Association for the Protection of Industrial Property (AMPPI) and the International Trademark Association (INTA), where he is Chair of the anti-counterfeiting policy project team for the 2016 - 2017 term of the anti-counterfeiting committee. He is also a regular attendee of the INTA, IACC, MARQUES and ABPI Conventions.